The Friends of Scouting Campaign is an important and necessary opportunity for anyone who considers themselves a “Friend of Scouting” to make a donation towards the entire Boy Scouts of America movement. Your support is greatly appreciated. 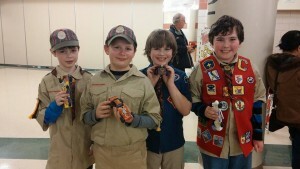 It impacts all of our son’s experience in scouting.